Healthy and beautiful hair is one of the most admired beauty-attribute for human, especially women. 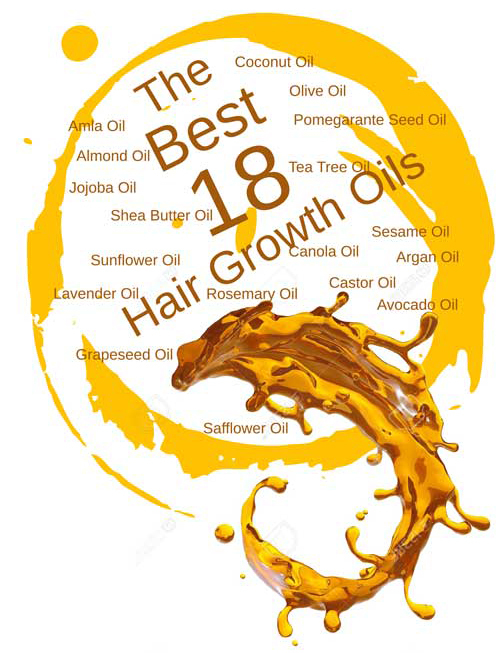 Due to the huge side-effects of chemical hair products, many health-conscious people seek natural tonics to bring more brilliance, splendor, and health to his/her hair. Rosemary oil is a miraculous natural remedy for skin and hair issues. This piece of writing focuses on the benefits of Rosemary oil for hair growth and some easy homemade recipes to prepare hair masks. Rosemary hair oil can serve as a fighting agent against hair loss and early baldness problems. It also slows down premature aging and hair graying. 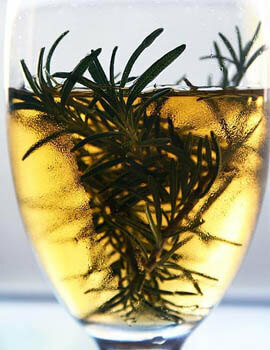 The aroma of Rosemary oil for hair strengthens the nervous system, removes the mental stress, and increases attention. All these actions reduces hair fall and prevent the premature hair aging process. Massaging the scalp with rosemary oil helps to stimulate the hair follicles, which makes the hair grow faster. Rosemary hair oil moisturizes the scalp and nourishes the hair over the entire length; therefore, regular use of this hair growth oil improves the hair-cell nutrition process. Moreover, Rosemary hair oil benefits can activate the metabolic processes in the hair follicles that stimulate growth. As a result, it helps the natural process of replacing old hair-roots with new hair-roots. Proper nutrition prevents the creation of hair-section and promotes hair regeneration process. It serves as an excellent nutrient agent for the weak and damaged hair. 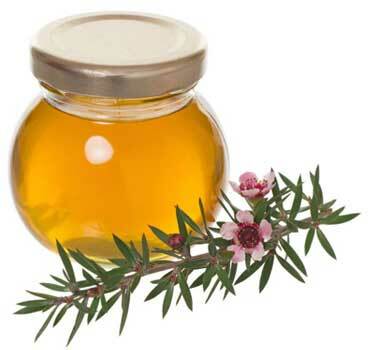 Rosemary oil can serve as an excellent antibacterial agent that treats a lot of diseases of the scalp. Therefore, this hair oil creates a therapeutic effect on the skin of the head by clearing the jams of dead-cell particles and eliminating dandruff. Daily massaging of the scalp with rosemary oil returns hair shine, suppleness, elasticity, and silkiness. Rosemary oil has magical healing power to cure the scars and wounds of the scalp. Moreover, hair-massage with this oil improves blood circulation in the scalp, which makes the scalp-tissue healthy and active. In addition, it’s calming effect cure irritation and itching in scalp. Mix warm water and green clay at 1: 1 proportion. Then, add about 50 g (10 drops) of rosemary oil and 1 tbsp of natural apple cider vinegar to this mixture. Your hair mask is ready! Now, rub this Rosemary oil mask into your scalp for 10 minutes; after that wash your hair with water without using a shampoo. This hair oil mask is effective for the growth and strengthening of oily hair. Add 3 drops of rosemary oil in the shampoo before you take a hair-wash. Then, wash your hair in a regular way. Shampoo enriched with rosemary reduces the secretion of oil glands in the scalp. Mix 10 ml macadamia oil, avocado, and jojoba oil together. This mixture of oils includes two drops of rosemary hair oil, drops of chamomile oil, bay and birch. Now, massage this hair mask upon the scalp and mix the oil throughout your hair. Then, wrap your hair with a thick towel. Let the oil over your mask hour and wash the usual way. Create a mixture with about 50 ml of olive oil enriched with five drops of rosemary oil. Keep the mixture for about three weeks in a dark place, and then pour it into a bottle. 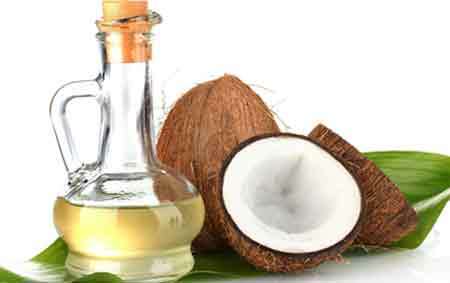 Start massaging and rubbing the oil-mixture, first in the hair-roots, and then distributed over the entire hair-length. Keep the mask for about half an hour, then rinse the hair properly without using shampoo. To prepare the hair mask, you will need 1 tbsp of burdock oil, whipped egg yolk, 3 drops of rosemary hair oil and 3 drops of cedar oil. The ingredients should be mixed together until they look like a homogeneous mixture. Now, this hair mask is ready to apply!. Now apply this mask over your hair about 30-40 minutes before washing the head. At first, rub this oil mixture to the hair-roots using your fingers, and then evenly distribute the remaining oil over the entire length of your hair. To prepare the masks to need to apply any base oil. Take 2 tbsp of Grape seed oil or castor oil. Now add 3 drops of rosemary oil, 3 drops of lavender oil, 2 drops of cedar oil and 2 drops of ylang-ylang to this mixture. Your hair mask is ready! Now rub this hair mask into each hair root. After finishing, wrap your hair using a polyethylene. Wash off the mask after 15-20 minutes. If you feel the sudden appearance of a burning sensation and discomfort, then wash off the mask immediately. Take 15 ml burdock oil, and then add 7-8 drops of rosemary oil to it. Now, rub the liquid into the scalp through easy finger movements. After finishing the hair and scalp massage, wrap your hair with a towel or a cap and wait for 1 hour before you take a hair-wash. Repeat this procedure before each hair-wash until you get full recovery from dandruff. You can repeat this treatment as prophylaxis twice a month. To get rid of dandruff, you need to nourish and strengthen the hair follicles. To create a hair-mask, take a bowl and put the following ingredients: a few drops of rosemary oil, 15 drops of olive oil and 4 drops of tea tree oil. Now store this mixture in a glass made bottle and place the bottle in a cool, dark place. Before using this healing mixture, make it warm. After that, put this hair mask on the hair roots. When you have finished, wrap the hair with a towel and wait for 20 minutes. Then, wash your hair properly. Take the wheat germ oil as the base oil. Then, mix rosemary, tea tree, and geranium to the base oil. The proportion is 5 drops of each of essential oil per 10 ml of base oil. Now, apply the hair mask on your hair and scalp. Keep the mask for 20 minutes and then, rinse the hair properly with water. If your hair looks almost lifeless and dry, then the try this hair mask recipe to strengthen the hair-roots and make the hair return to its former strength and looks. Mix up 15 drops of olive oil with 10 drops of rosemary oil, and then apply the mixture on the hair starting from the hair-root to the hair-end. This excellent nourishing mask prevents hair-section issue and gives your hair a healthy shine. Take 20 ml of Grape seed oil or castor oil. Now add 3 drops of rosemary oil, 3 drops of cedar oil and 2 drops of ylang-ylang to the base oil. Now rub this mixture into the scalp. After finishing the massage, cover the entire hair with polyethylene and leave for 20 minutes. Then, rinse shampoo the hair. Shampoo works great with rosemary oil. At first, you need to use any base oil, such as olive oil or castor oil, or almond oil. Then add about 6 to 8 drops of rosemary oil to the base oil. Now, add a few drops of shampoo to this oil-mixture and blend this mixture with a wooden/ glass rod. Your mask is ready to use! Now you can divide your hair into several parts and take oil into your finger. Then, rub the oil into the hair and scalp through finger movements. In order to enhance the effects of this hair-massage, wrap your hair with a shower cap and warm towel head after finishing the hair oil treatment. After an hour, wash your hair with a good shampoo. It is worth to mention that some shampoos include harmful chemical ingredients. 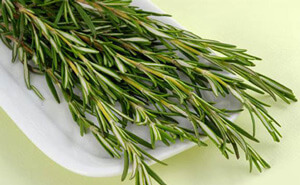 Therefore, rosemary oil cannot always cope with their aggressive actions of these ingredients and neutralize them. These chemicals can greatly impair the beneficial effect of the Rosemary oil on your hair follicles. Attention! Use glass containers, in any case, cannot be mixed fatty and essential oils in a plastic bowl. Mix equal proportions of your regular shampoo, rosemary oil and water; then rinse hair. This procedure stimulates blood circulation of the scalp, opens clogged pores and promotes normal growth of hair. Take 3-4 sprigs of rosemary and put those in a glass jar. Now add 250 ml of olive oil to this jar. Then, close the lid tightly and put the jar in a dark place for 2-3 weeks. After that filter the oil from the mixture and use to for hair and scalp massage. Rosemary oil scalp treatment can cause pressure surging. 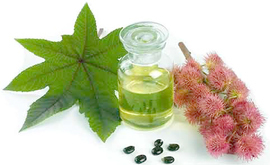 Therefore, patients with hypertension should avoid this oil. Rosemary oil has great healing power for hair issues. However, to get the benefits of Rosemary oil for hair growth, you can apply the hair masks at least twice a week. Next: How to Remove Hair Dye from Skin of Forehead, Neck & Hand?